Eating out on a gluten-free diet used to mean nibbling on a sad plate of veg. But now, things couldn’t be more different. 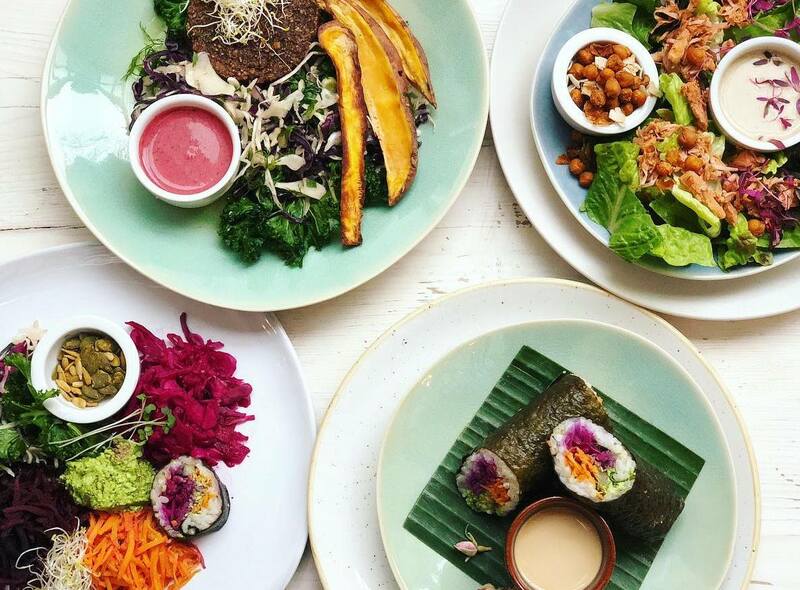 More Londoners than ever are gluten-free and the city’s restaurants, cafes, and bakeries are all stepping up their game. Are you living a gluten-free life? Here are the food spots you need to know about. If you love carbs but they don’t love you back, Beyond Bread is one to try. Want bread? Forget about white or brown; at Beyond Bread you get to choose from pumpernickel, sourdough, seeded, brioche, ciabatta, and loads more. Fancy something more filling? Take your pick from fully-loaded sandwiches, toasties, and quiche. And if you swear by a full English after a heavy night out, swing by the Islington, Fitzrovia, or Selfridges branches for an upmarket take on the classic (hint: the smoked baked beans don’t taste like they’re from a tin). If you just can’t find a decent gluten-free lunch anywhere, the Detox Kitchen Deli could be the answer to your prayers. 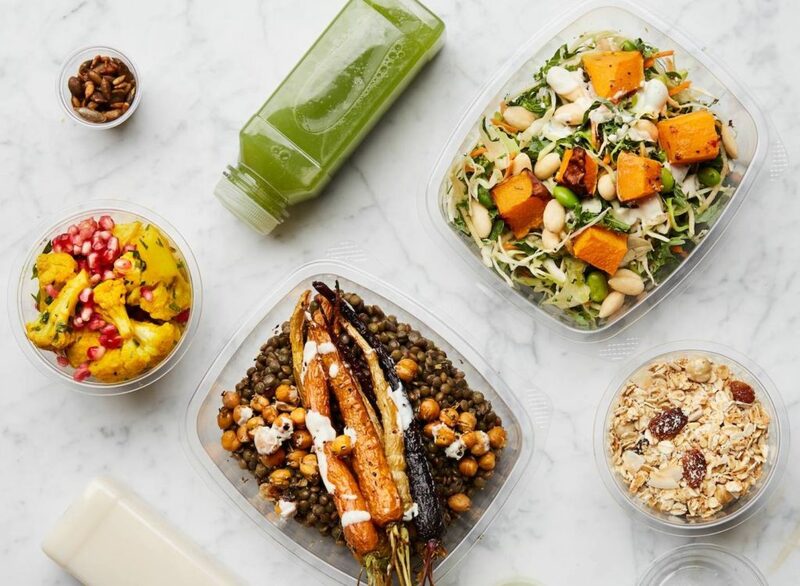 Based in Mortimer Street and Kingly Court, this spot is all about hearty salads without a particle of gluten in sight. Think big chunks of seriously tasty roasted sweet potato, guac, creamy slaws, and stuffed butternut squash. 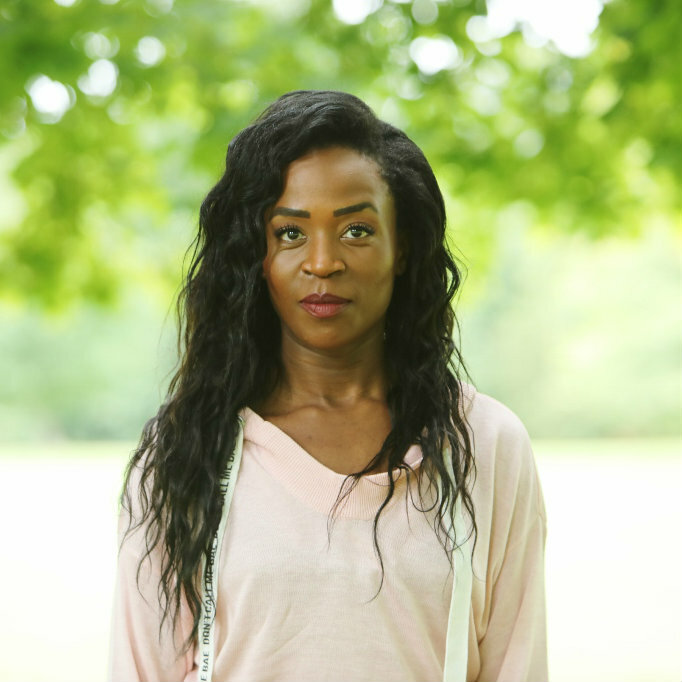 And because they want to make healthy eating as easy as possible, their salads are also free from refined sugar and dairy. Winner! 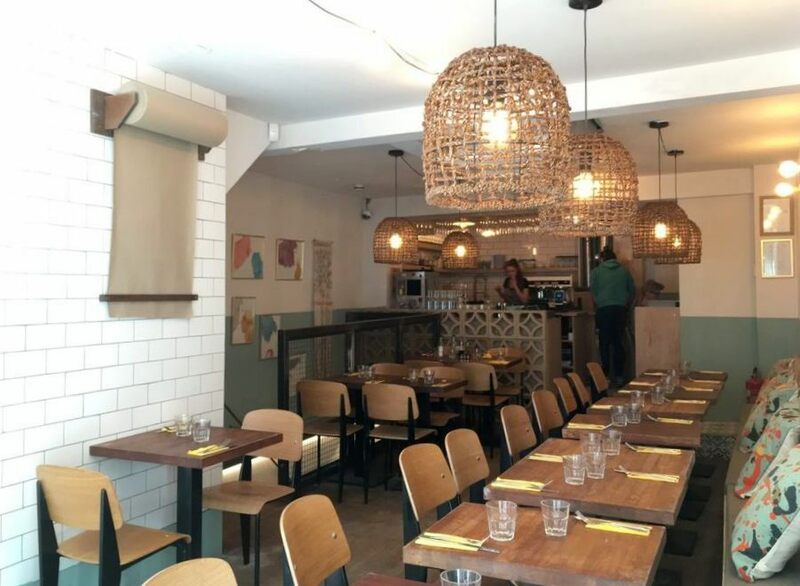 This Italian gluten-free gem found in Soho, Camden Stables, and off Elephant and Castle Station promises that authentic pasta is no longer off limits if you’re gluten-free. Forget the dry and chalky pasta disasters you’ve had in the past. At Leggero, all the pasta is fresh, handmade, and tastes like the real deal — from the classic carbonara to the taste sensation that’s the salmon-stuffed squid ink ravioli. And like any authentic Italian spot, there’s lots of delicious focaccia on offer, so don’t fill up on too much pasta. Speaking of authentic Italian, when was the last time you had gluten-free pizza that tasted like it was made in Rome? Enter Holloway Road’s Zia Lucia. 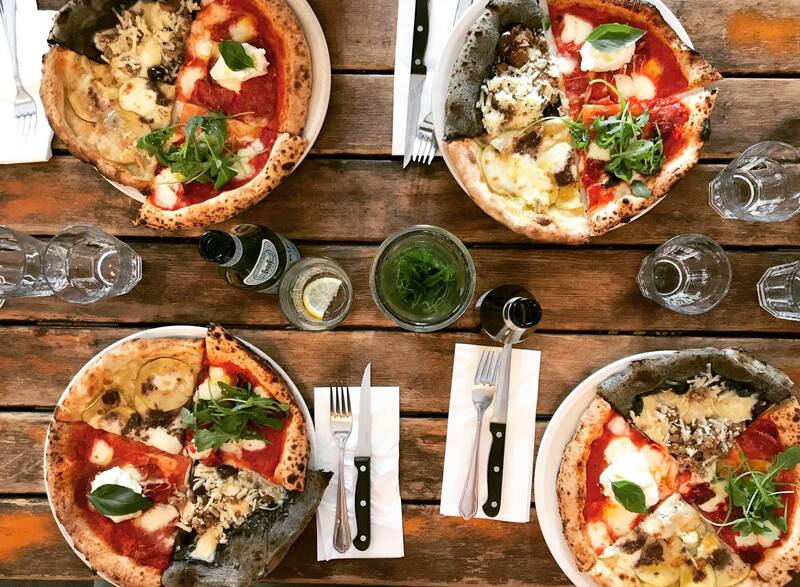 From light and crispy pizza bases to soft and fluffy focaccia served with traditional antipasti, there’s a gluten-free option for everything bready. But be warned: all pizzas—gluten-free and standard—are baked in the same wood-fired ovens. So yes, they taste amazing, but there’s probably a teeny tiny bit of gluten in the gluten-free pizzas. 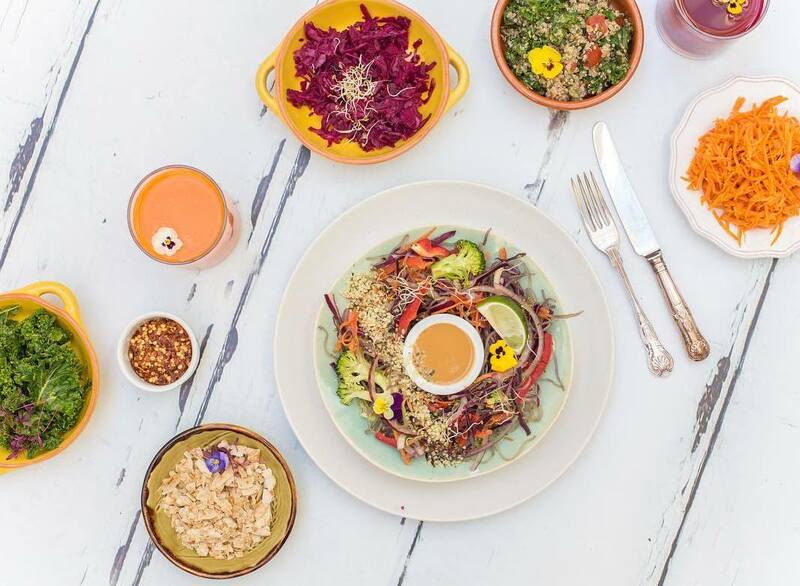 Everything on the menu at this Chelsea hot spot is not just gluten-free, it’s also plant-based, organic, and free from refined sugar — basically perfect for all types of diets. They do smoothies, juices, and snacks if you’re pushed for time, but if you’re going to visit Tanya’s, it’s worth sitting down and sampling their delish take on pad thai and lasagne. You haven’t lived until you’ve tried Tanya’s herby almond and cashew ricotta! Crazy about crepes? 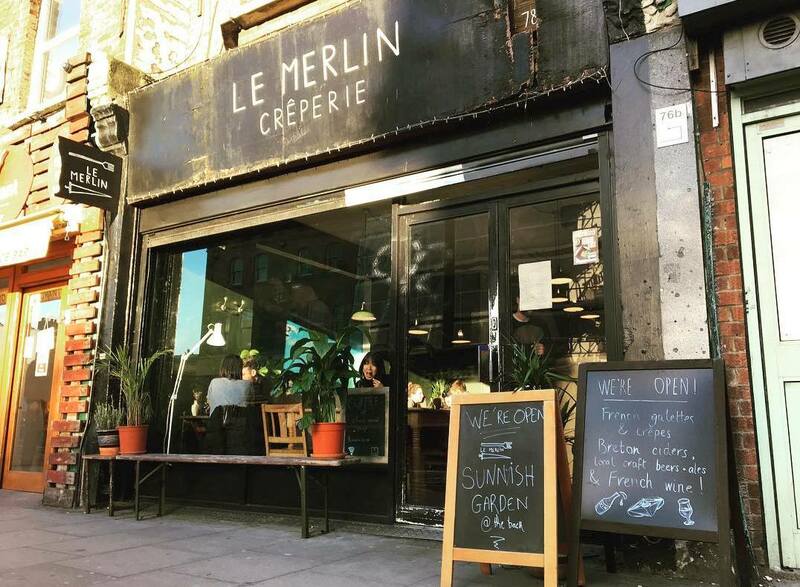 Then get down to Le Merlin on Lower Clapton Rd. Made from buckwheat flour and nothing else, their crepes are gluten-free… and they’re also the only thing on the menu! But don’t worry — there’s tons on offer. Veggie? Try the Ratatouille and Blue Cheese Galette. Looking for something super fancy? The Confit Duck with Blue Cheese Sauce, Truffle-Flavoured Honey, and Caramelised Onions may be more up your street. Whatever you do, don’t pass up the chance to finish your meal with something sweet — the caramelised apple and cinnamon crepe is a must. 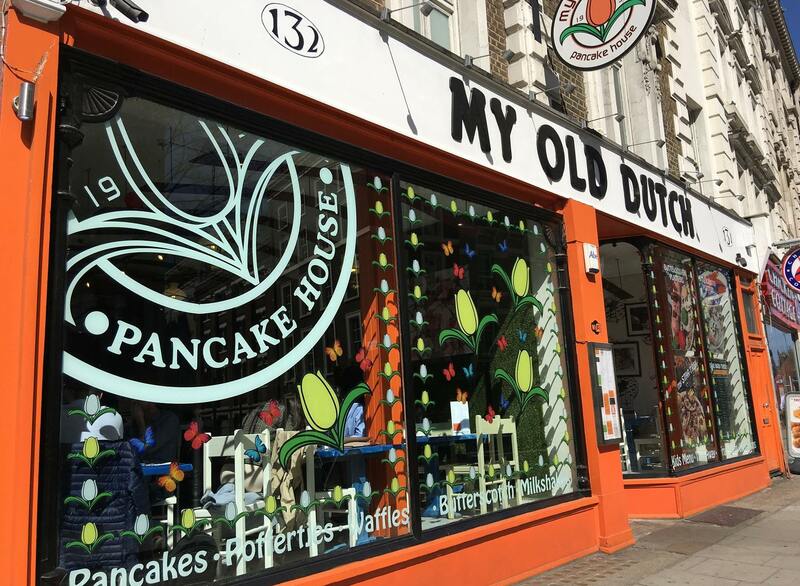 If you’re hankering for some pancakes and you’ve got the kids AND your gluten-loving friends in tow, try My Old Dutch in Chelsea, Kensington, and Holborn. This pancake house is all about versatility, and proves it with its sweet, savoury, breakfast, kids’, and low-cal pancakes. If you’re gluten-free, just let them know and they’ll make your pancakes with their special rice, tapioca, buckwheat, maize, and potato flour blend. 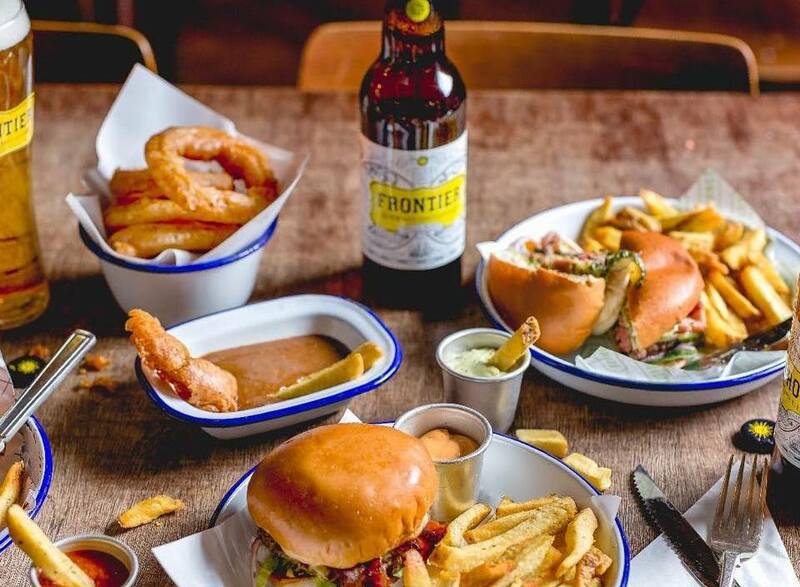 If you’re used to holding out until Friday night for a chippy tea, get ready to have your world rocked. 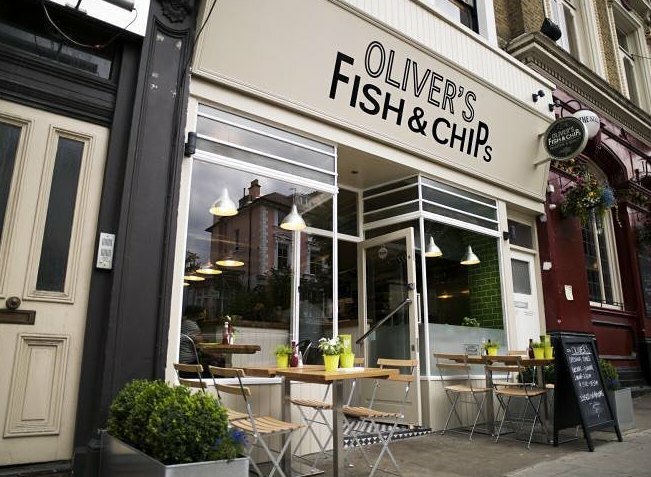 At Oliver’s, Wednesday is gluten-free fish and chips night, and everything—from the batter to the oil used to fry the fish—is 100% gluten-free. With branches in Belsize Park and Whetstone, it’s one for those north of the river, but with a Mediterranean take on the classic chippy, it’s also worth the trek if you’re not local. 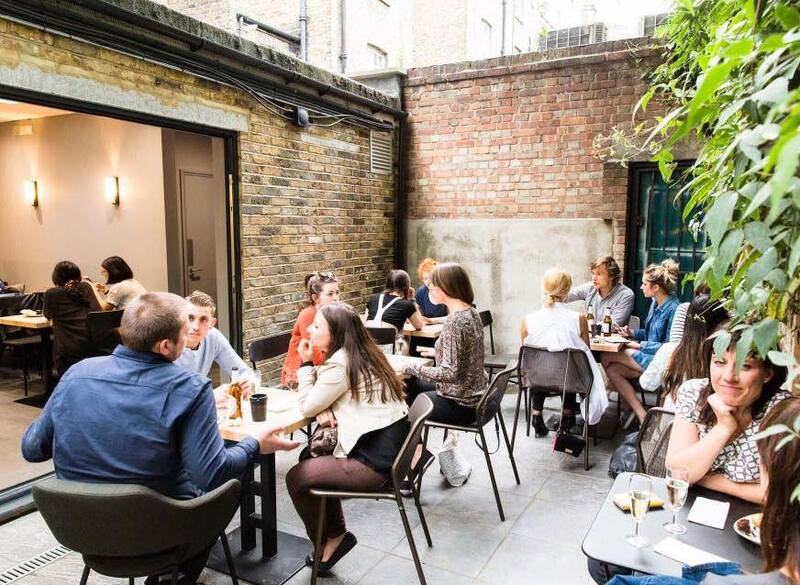 Looking for a posh restaurant that’s also gluten-free? Look no further than Indigo. 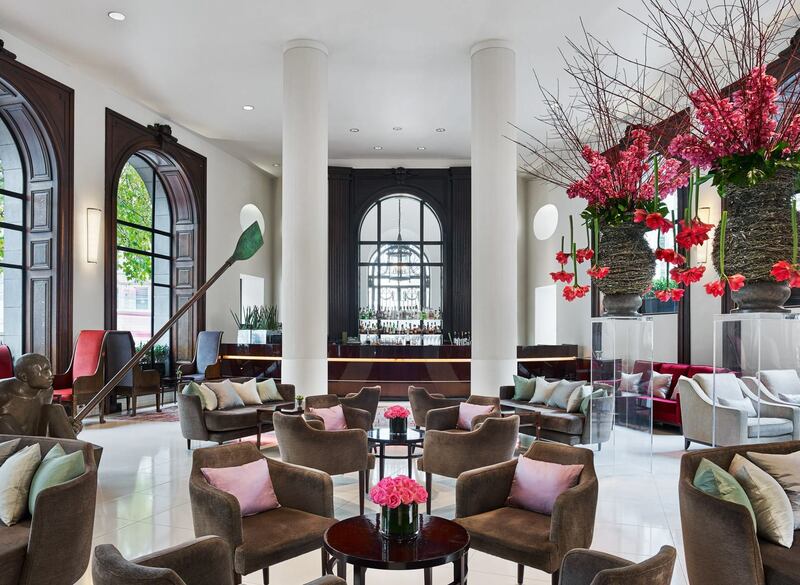 Housed in the One Aldwych hotel, this spot offers a high-end menu that’s worthy of its fancy surroundings. Expect rustic, UK-sourced meat, fish, and veg, from Yorkshire pheasant to Orkney scallops. It’s a taste sensation that just happens to be totally gluten-free. And it’s got a gluten-free seal of approval from Coeliac UK to prove it. 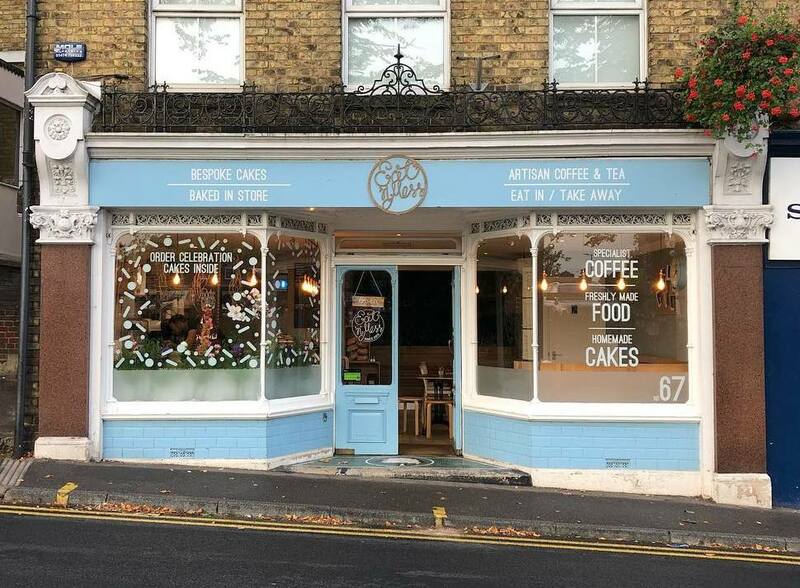 If your friends are convinced that gluten-free cakes don’t hold a candle to the real deal, take them to Eat’n’mess at Broadway Market in Hackney and let the cake do the talking. This gluten-free cake stall keeps its gluten-free status hush-hush, which means your gluten-loving friends can tuck into s’mores brownies, Bakewell tart loaves, giant chocolate cookies, and other delish treats with a totally open mind. Don’t forget to break the news to them afterwards! Sick of saying ‘hold the bun’ when you’re out for burgers? Honest Burgers has you covered with their fluffy gluten-free burger buns. But despite their name, it’s not all about burgers at this spot. Its vegetable fritters are also gluten-free and definitely worth sampling. And if you’re a sucker for a chip or two, try Honest’s Rosemary Salted Chips — they’re among the best in the city (definitely top five).